If it’s true that wine trends criss cross their way between New York and London then we can expect to see a lot more New York State wines on top restaurant and bar wine lists in the near future. The wines of New York State have recently started to make a real splash on the New York City hospitality scene, with wine lists identifying several examples of both vinifera and hybrids. The area’s unique viticulture is so appealing that it has tempted some key US sommeliers to make their own wine; indeed Pascaline Lepeltier MS, Christopher Bates MS and Thomas Pastuszak have their own winemaking projects in the Finger Lakes. 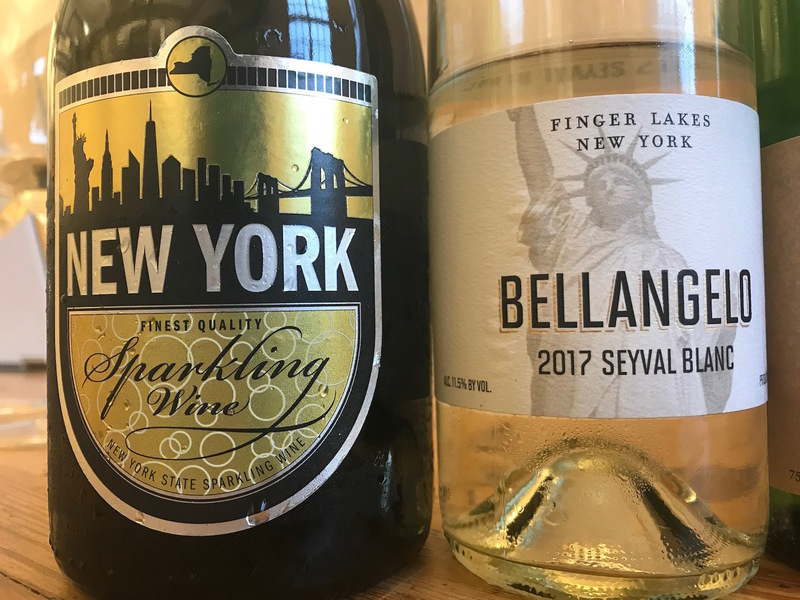 Although lesser known in the UK, the wines of New York State have started making recent waves with more importers taking notice of their potential. To help boost awareness of its wines this side of the pond, New York Wines recently teamed up with The Buyer to host a tasting, discussion and lunch with leading on-trade buyers and sommeliers at London’s Kerridge’s Bar and Grill in the Corinthia hotel, one of 2018’s most acclaimed new openings. Wine critic and commentator, Dr Jamie Goode, was also on hand to give his personal take on the wines and the region after a recent in-depth tour of the state. New York State is known for its natural beauty, with glacially cut lakes, state parks and gorges and is home to an increasing number of high-quality wineries. It might be a relatively new wine region to UK wine buyers, but there have been vineyards planted in the area for hundreds of years. There is evidence these plantings were first established by Dutch settlers in the tail end of the 17th Century. 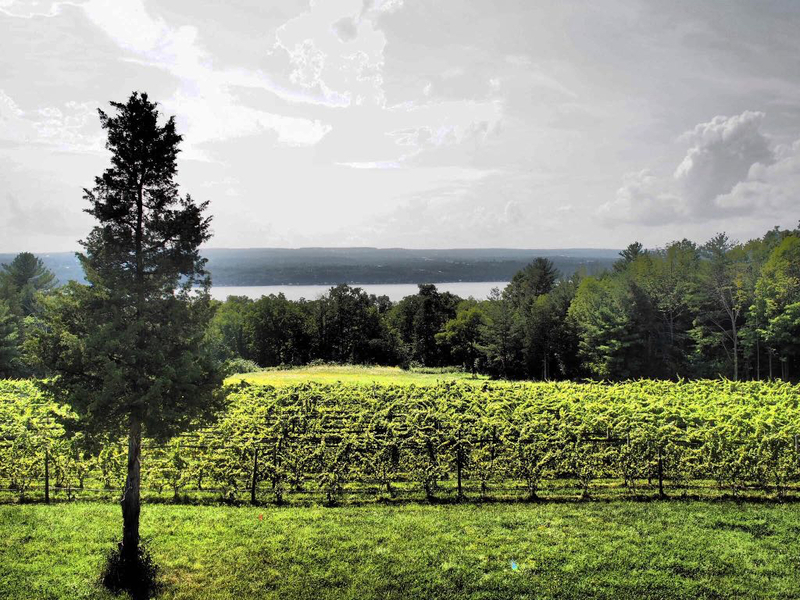 The region now has six key wine growing areas, the largest and most well established being the Finger Lakes, followed by Long Island, Lake Erie, Niagra Escarpment, Hudson Valley, and Champlain Valley. 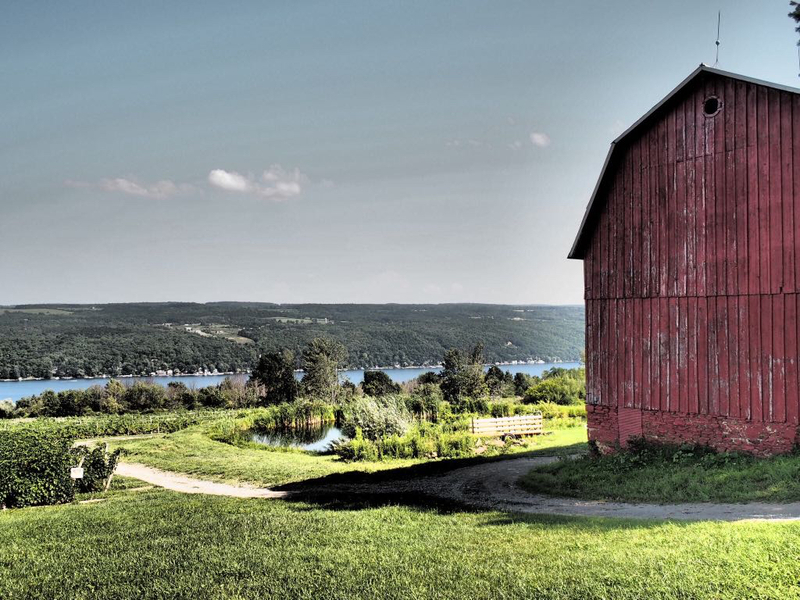 The Finger Lakes is home to three distinct American Viticultural Areas – Finger Lakes, Seneca Lake and Cayuga Lake AVAS – and the lakes are key to the identity of the region. These vast watery expanses help to moderate the extremes of temperature experienced in the region, protecting the vineyards from bitter frost during the winter, when temperatures can plummet to minus 18 degrees celsius, and keep them cool during the hot and humid summer months, resulting in a long, temperate growing season. Pre-prohibition, Finger Lakes was the biggest wine producing region in the US, with the first commercial vineyard established back in 1839. It was, however, to lose its prominence once post-prohibition US states were able to draw up their own regulations regarding alcohol. While California went for the most liberal legislation, New York State chose far more Draconian laws, and it quickly lost its position of power within the US and overseas. However, 1976 marked a turning point for the region’s wine fortunes, when it became much cheaper to buy and build a winery in the region, and it soon attracted a large number or producers looking to make their name there. From around only a dozen in the 1970s, there are now around 420 wineries across the state of New York, with many focussed on Riesling, Cabernet Franc and Lemberger/Blaufränkisch. Many people still associate the area with wines from the Vitis Labrusca species, like Catawba, Niagara and Concord, often made in a sweeter style. While Labrusca does account for about 60% of Finger Lakes grapes, 25% are hybrids (like Baco Noir and Frontenac), and 15% are vitis vinifera. Riesling is also widely produced in the region. Dr Konstantin Frank, who came to the US from Ukraine in 1951, is credited with sparking the vinifera revolution in New York State. Although the region had produced wine since the 1860s, it was Frank who believed that vinifera could be grown in the region with the correct rootstocks, despite the cold. The region does also have its fair share of commercially focused sweeter wines that do very well in the US. “There is a local demand for the cheaper, really sweet hybrids, but this is the way a lot of wineries make their money by selling those wines via direct sales to tourists. No one got broke underestimating the taste of the American public,” explained Goode. More and more producers, particularly in the Finger Lakes, are also looking to focus their efforts on producing high quality wines, which, in turn, has opened the doors to more export opportunities. “Wineries are starting to realise that they are not going to get very far by selling cheap wine to tourists, so there is an increased emphasis on both quality and on exports now,” stressed Goode. This lack of awareness of wines from New York State was not helped by the fact that until relatively recently, few New York sommeliers and restaurateurs took their own domestically produced wines seriously. This has changed over the past five years drastically, due to the leap in quality, the migration of young winemakers to the region, the minimal intervention winemaking scene and the demand for local produce. Agern, in Grand Central Station, is an example of this with a domestic-only wine list featuring dozens of New York State growers. 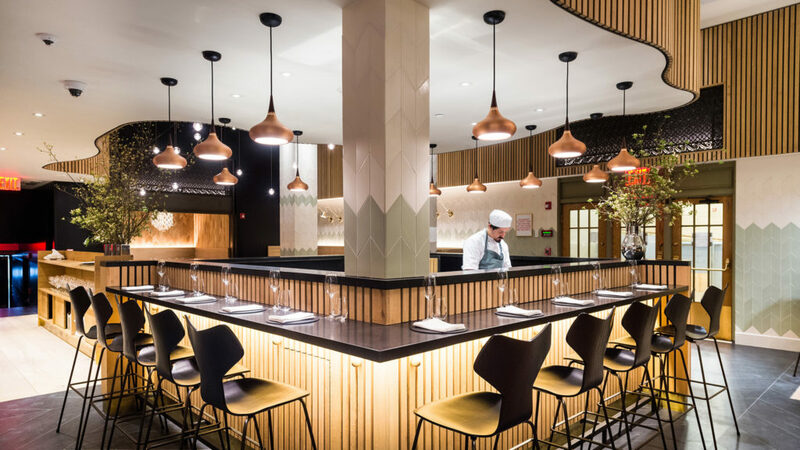 As a result, many of New York’s fine dining establishments now have several examples gracing their lists. 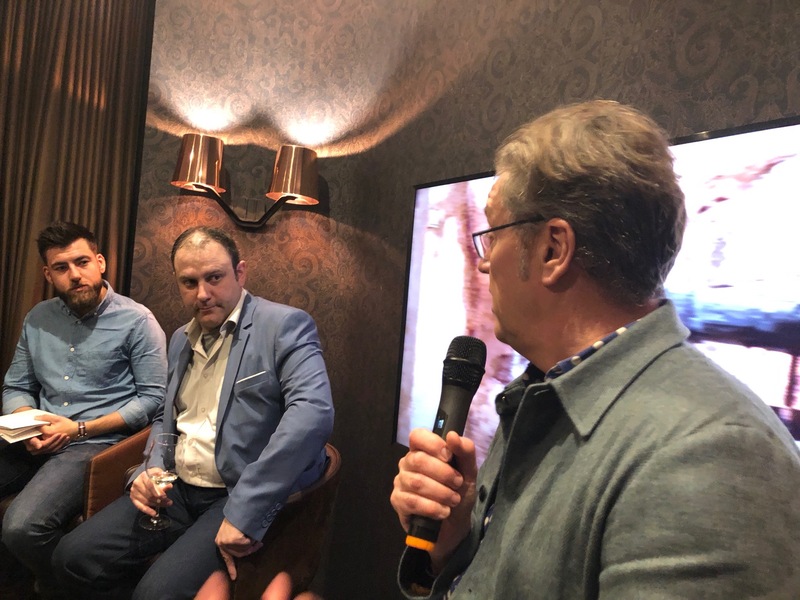 Jonathan Kleeman of Bishop-Stortford-based Twisted Cellar said there was often a kind of “weird self-pessimism” at work, when people from a country or region don’t take their own wines seriously, as was the situation until recently with English wine. “Beyond a certain price point people won’t spend money on their own wines, they don’t believe it is worth it,” he said. The panelists in The Buyer debate were all impressed by the quality and diversity of the wines they tasted, but noted that it would be more difficult to initially sell those with higher price points. Ultimately, stressed Leroy’s co-owner, Ed Thaw, “it does come down to price and trying to find value throughout the list,” he said. “So a wine from this region is available for £12 to £13, hell yes, let’s do it, but as soon as you get to £20 it’s quite hard because at that price point you are getting serious wines from France and Germany.” For this reason, Thaw expressed particular interest in the wines from Channing Daughters and wishes to list them. 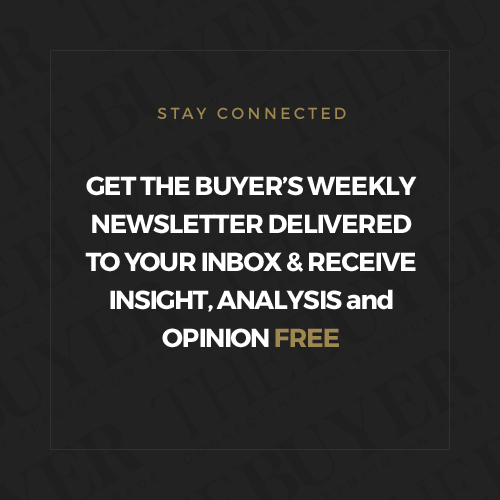 Kleeman said he was keen to focus on less well-known wine regions in the coming year, and despite the fact the wines are lesser-known in the UK, he would consider listing some of them. “We are a new business and I am still expanding the portfolio, but I have had the wines from Red Hook on lists at my last two places,” he said. 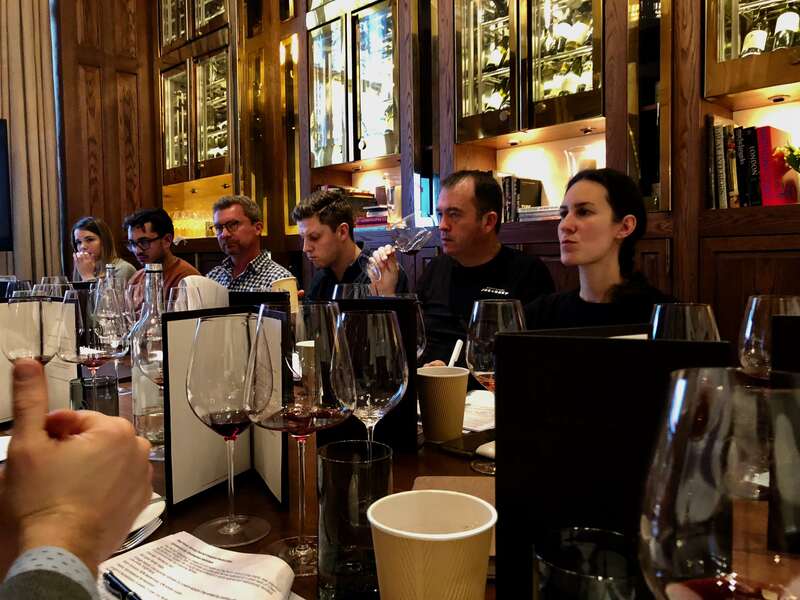 Kleeman added that while he already held a positive view of the wine before the tasting, it served to confirm his opinion that this is a region with a lot of existing producers who are experimenting with different styles. 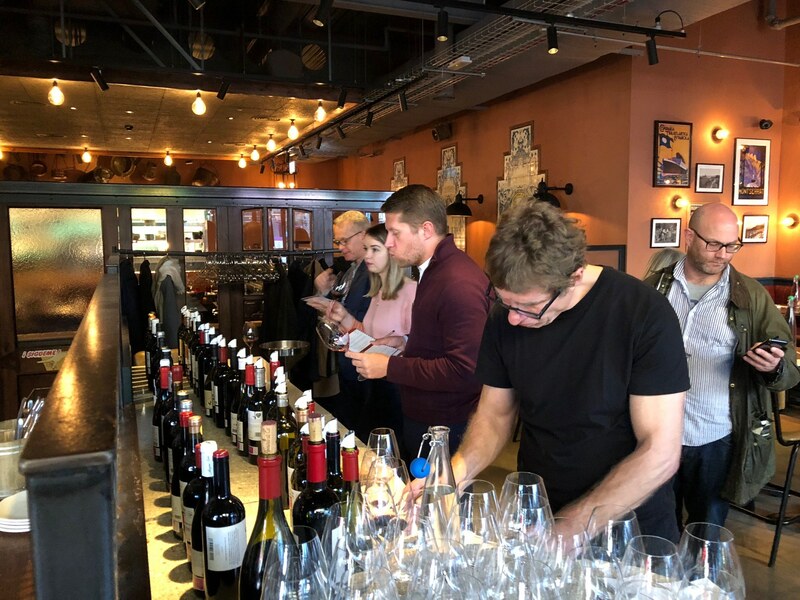 Several of the buyers felt it would be a good idea for the region to focus on a few standout varieties to showcase to the world; these are wines that could become the ambassadors for the region. “I think that the wines could enter the UK market if they manage to find a grape to champion the region and create a benchmark style, so that consumers know what to expect,” said Mattia Scarpazza, head sommelier at Richmond-based Petersham Nurseries. Kleeman said that having a star variety representing a region or country is really helpful for consumers. “For example, Vouvray offers many different styles, and I don’t think consumers know what they are buying. It can say Vouvray on the bottle, but that doesn’t mean much to the average consumer, it doesn’t make any sense. The New York region needs a couple of wines to champion – when you look at the world’s most successful wine regions that is what they have done. From a sommelier and wine geek’s point of view the diversity of styles and quality is fantastic, but from a selling point of view and marketing a brand it’s a different matter.” The region needs to decide which grape or grapes to champion and focus on those, he said. Hawksmoor’s Nacho Campo thought Riesling and Cabernet Franc would be the best entry points for New York wines. Focusing on those two varietals would really help region gain some traction in the UK, he added. 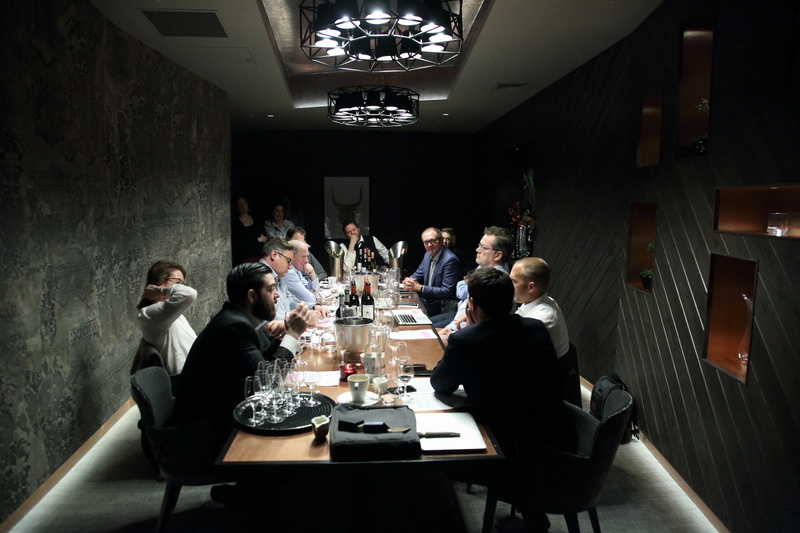 Sylwester Piawecki, assistant head sommelier at Zuma, partly agreed and instead suggested Riesling and Pinot Noir were the best placed to spearhead New York’s overall push into the UK and showcase the region to the world. He also really enjoyed the wines of Red Hook and is thinking of introducing them to the list. 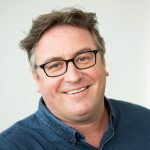 Charlie Mellor of The Laughing Heart particularly liked the wines of Bloomer Creek and Nathan Kendall, as he found the quality exceptional and is a supporter of minimal intervention winemaking. Noemie Favrat agreed and found the Red Newt “Tango Oaks” cuvée to be outstanding. Thaw at Leroy thought that the interest lies in quirkier varieties and blends such as those produced by Channing Daughters, as this provides a point of difference. The clones cuvée, for example, is composed of 70% Chardonnay, 13% Tocai Friulano, 8% Sauvignon Blanc, 5% Pinot Grigio, 2% Muscat Ottonel and 2% Gewurztraminer. Not many regions grow all of these grapes in one place, let alone in the same region. He also expressed serious interest in rosé as a category. Honey Spencer, of Bastarda, believes lesser-known regions, varieties and styles can really shine, and it is what she hopes to bring to her own wine lists. It is then a case of how you go and communicate those wines to your guests, she adds. 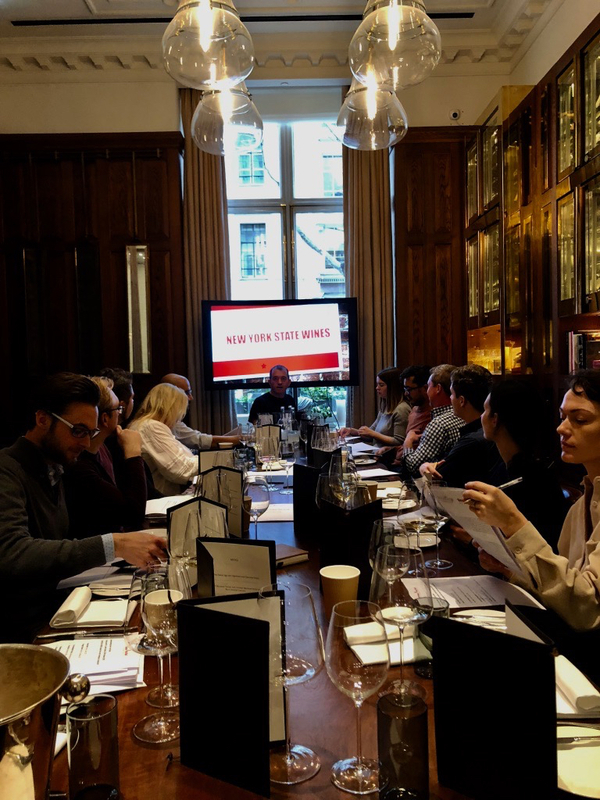 All in all the buyers and sommeliers welcomed the opportunity to find out and taste a variety of wines from New York State, a region that has big ambitions to start making its presence felt in the UK market. 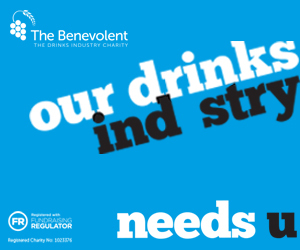 The next step is to get more distributors to match that enthusiasm so they have wines available to sell in their restaurants and bars. If you would like to know more about New York State wines then contact its UK PR team at Westbury Communications and email Christina Rasmussen on christina.rasmussen@westburycom.co.uk.